Andrew Stewart is an associate with Kenealy Vaidya LLP. His experience includes patent prosecution, infringement and validity opinion drafting, as well as diligence, motion practice, briefing, and fact and expert witness depositions. Mr. Stewart is primarily involved with mechanical, electrical and materials technologies, including automotive technology, consumer electronics, electrical connectors, biomedical tools, and sterilization processes. Mr. Stewart has experience with trademark clearance, prosecution and litigation. Mr. Stewart assists clients in all aspects of global brand protection, including protecting and defending an organization’s name, trademark and trade dress world-wide. Mr. Stewart counsels clients on brand identity, ensuring trade names and marks are appropriately chosen, registered, managed and enforced. 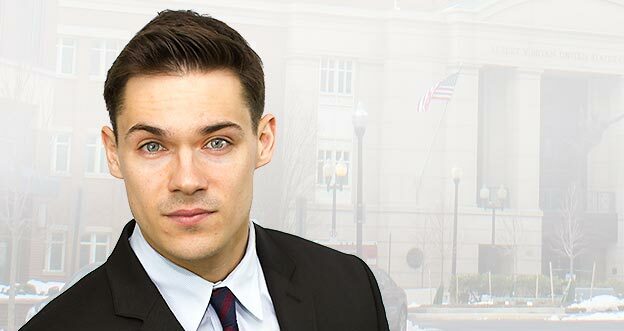 Mr. Stewart graduated with a bachelor’s degree in industrial engineering from Lehigh University in 2011, and received his law degree from the University of New Hampshire School of Law in 2014, earning a Franklin Pierce Intellectual Property Law Certificate. Mr. Stewart was previously a law clerk at the U.S. International Trade Commission with the Office of Unfair Import Investigations, and prior to that held an in-house position with the patent group at a design and rapid prototyping engineering firm. Mr. Stewart is admitted to practice law in the District of Columbia and Virginia, and before the Eastern District Court of Virginia and the U.S. Patent and Trademark Office. Mr. Stewart has a background in industrial engineering and is experienced in the areas of manufacturing processes, mechanical systems and biomedical engineering.